Got an old dryer that still works but you don't need anymore? How about that old refrigerator or microwave? Or maybe it's a used wine cooler you just replaced with a better model. For many homeowners, simply figuring out how to move appliances safely is a challenge. The best way to do so efficiently is by having a plan laid out first. This way, you know what to expect, what to avoid, and what needs to be done first, and so on. A moving and removal plan will make the task safer and easier. But before you haul that old appliance out of your kitchen or laundry room, do you know what you're going to do with it? If it is a working and usable appliance, it makes sense to get some cash for it, if possible. While you may not want to bother with selling your old unit and simply opt to donate it or have it hauled off for disposal instead, used appliances can be quite valuable. As a potential seller of a pre-owned appliance, it pays to know what types of appliances are more likely to sell than others. That's because these will be the items you will likely get the most money for and find the most buyers for. "You can often save big by purchasing second hand refrigerators, gas ranges and freezers. 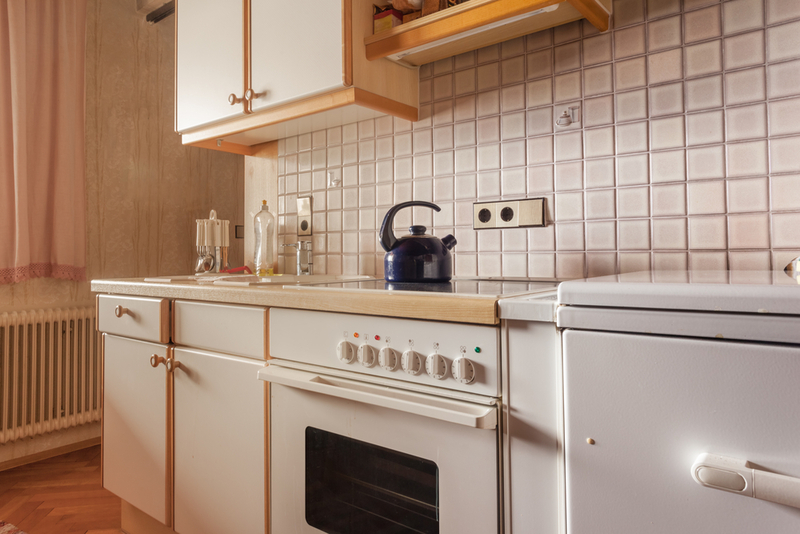 It's common for these appliances to be sold in great condition because when people remodel their homes, those items usually are the first to go. Even washing machines and driers can be found at good prices because when people move they sometimes unload their old equipment." This can be good news for a seller if you happen to be looking to get rid of old appliances that are large and in good condition. The article goes on to caution against buying certain other appliances used. "Two appliances which you should always buy new are built in refrigerators and gas cooktops. These items require extensive levels of maintenance and can be more trouble than they're worth." There are a number of methods for selling your old appliances and actually making money from them. Probably the most obvious approaches for residential homeowners or renters is to have a garage sale. For apartment dwellers, this might not be a feasible option, but most folks renting apartments are not looking to sell old appliances, either. Then there is the local used appliance and junk items dealer. Almost every town and city has them and, while they can be a convenient path for off-loading your used refrigerator or oven, you might not make much money in the deal. Less common is selling to a scrap metal dealer. However, it is likely you can get some decent offers depending on the appliance. However, this is probably a better option for old appliances that no longer work. Since we obviously are now living in a digital age and almost everything and anything can be had online, selling your used appliances on the Internet can be a convenient and profitable choice. It is an art to selling well online and there are a number of tips and best practices to keep in mind to get top dollar and quicker quality responses to your offerings. We are probably all familiar with selling sites such as eBay and Craigslist, but there are other sites, as well, where you can try to entice buyers to take your washer and dryer. While you wouldn't necessarily sell your used items directly through Facebook Marketplace, it can be a great channel for getting the word out that you have items to sell. "The main benefit of using Facebook Marketplace over Craigslist is the trust factor. If you’re friends with someone on Facebook you automatically trust the individual more than a stranger on Craigslist. Plus, Facebook Marketplace makes it easy to share your free listing with others. If you have a good appliance, people can choose to share with their networks as well as increasing your audience dramatically. Make sure to ask friends and family to share with others if you choose to list on Facebook Marketplace. You can use the same description from your Craigslist ad and choose to edit contact information as well. This is a great way to sell your appliance quickly and easily." In addition, there is also the venerable eBay. While it takes some getting used to at first, the vast reach of this site almost guarantees you'll find a buyer. And eBay offers a helpful guide for buyers of used appliances. Another little known site is ApplianceXChange. An appliance classified site, ApplianceXChange note only posts listings for free, it offers a directory of appliance stores and dealers around the country that sell secondhand goods. So, maybe you would like to get some money for your old appliance but you're on a deadline to relocate, or you just don't want to bother with the process. That's understandable and, if you're appliance is in good working condition, you can still ensure it finds a great home by donating it. But what if it's really, really old or doesn't even work any more? Not to worry! Short of finding someone willing to fix them them for you first, they have no real potential for being re-used. But that doesn't mean that your only option is taking them to your local dump. You can call a professional junk hauling firm instead. 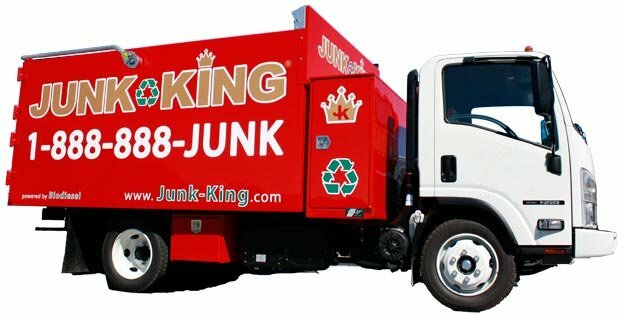 A reputable company like Junk King will do all the hard work for you and dispose of your old appliances in the best way possible. And this often means recycling. Almost all of the components and materials in your broken used appliances can be reused. Although it's possible to donate old appliances that are unusable and not in working condition, or sold for scrap, appliance recycling is the better option for a number of reasons. And, in most situations, the best way to do this is to have your non-working appliances professionally disassembled and the materials recycled. This is far better and easier than either dumping them someplace you shouldn't, or trying to take them to your local dump. Junk King is proud to be North America’s greenest junk removal service. We pioneered recycling based junk removal in 2005 and have been going greener ever since. We sort each and every job for metals, e-waste, paper, household goods, textiles, furniture and appliances, in our recycling warehouses. But “going green” also means we donate, re-purpose, and reuse everything from clothing, toys, baby cribs and strollers to office furniture and supplies. We run many of our trucks run on bio diesel, a domestically produced fuel made from more environmentally safe non-petroleum, renewable resources. Junk King is committed to continuing to lead the way to help keep our planet clean, green and beautiful for the generations to come. Ready to get rid of those old appliances? It’s as simple as 1, 2, 3. You make an appointment by booking online above or by calling 1.888.888.JUNK (5865). Our professional and insured junk removal team will show up at your home or office. We call 15 minutes before we arrive on site and we’ll give you a free estimate based on how much room your junk takes up in our truck, with no hidden fees.